1984 CHEVROLET VAN - 8’ X 12’ with roll up door on rear, dual rear tires, automatic with overdrive, gas 350 V-8 engine was running well when parked many years ago. Not running now. Will need to be towed. No on site repairs. Fiberglass body with skylight roof. 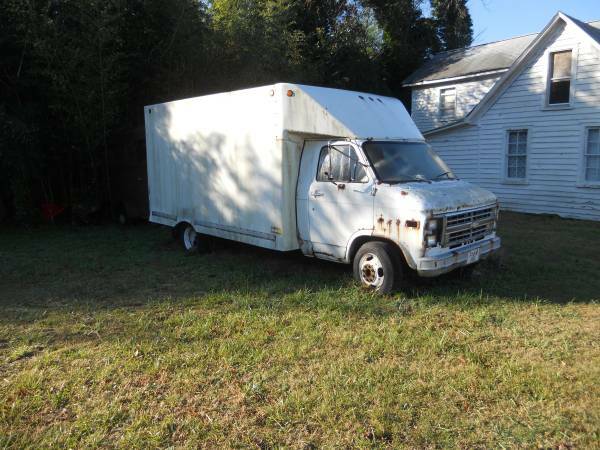 Two trucks available - $600. firm per truck. Please call 757-506-412five No need to ask if they are available. Post will be deleted promptly when they are gone.